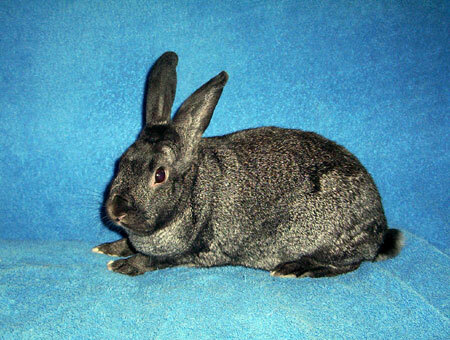 Veronica was a big, gorgeous, tender-hearted black and silver-tipped spayed chinchilla girl rabbit. Her human guardian passed away under tragic circumstances (suicide. Veronica was very sad to lose her. Veronica had been adopted when she was a shy, timid girl and her human companion really brought her out of her shell. Veronica became outgoing adventurous and very loving. She gave her human bunny kisses. Veronica came back to the SaveABunny foster center for healing and TLC when her human died, but she was deeply depressed and had a pneumonia from being untreated while her human was so depressed. Despite love and medical attention, Veronica was extremely upset and depressed and never recovered. She died in our arms here at SaveABunny, and we mourn her loss, as well as the loss of Diane, her human companion. They both brought great beauty into this world.